It’s not a pipe dream. February 26, 2019 If you needed further proof of Bernie Sanders’s argument that most Americans stand with him on the issues, consider the reaction to Alexandria Ocasio-Cortez’s Green New Deal. Despite attacks from the leadership in, or around, both parties, over 80 percent of voters support the litany of proposals advocated by the House resolution: job and income guarantees, universal health care, a cleaner environment, and lower socioeconomic inequality. Americans turn out, yet again, to be far less conservative than elites have maintained over the last half-century. Nowhere has the gap between majority will and elite consensus been more conspicuous or longstanding than on US foreign policy. Trump’s election is perhaps the best demonstration of that fact. But there is strong evidence that most Americans were never “liberal internationalists” either. While it is notable that support for the wars in Iraq and Afghanistan has waned in recent years, in polls Americans have consistently preferred diplomacy to military “solutions” before (and not long after) 9/11. Nonetheless, US soldiers and mercenaries are now prosecuting the latter in 80 countries, nearly half the planet. Peter-Christian Aigner is the deputy director of the Gotham Center at the City University of New York. Michael Brenes, a historian and the senior archivist for American diplomacy at Yale University, is currently finishing two books: one on the role of the military-industrial complex in American politics, the other on Lyndon Johnson and Hubert Humphrey. Discussing the role of the media in promoting violence and warfare. This video reduces a day and a half to 1 hour. The Whole Economic System is Rigged for the Rich. Part 1: Of Course College Admissions Rigged for the Rich. The Whole Economic System Is. The college admissions scandal is just the tip of the inequality iceberg. Part 2: School Daze: Use That Bribe Scandal to Fight for Debt-Free College. Since 2006, student loan debt has grown 170 percent. Thursday, March 14, 2019 | The children of working stiffs learned a brutal lesson this week as federal prosecutors criminally charged rich people with buying admission to elite universities for their less-than-stellar children. / Leo Gerard is the International President of the United Steelworkers (USW) union and is the second Canadian to head the union. He is also a vice president of the AFL-CIO. Gerard is co-chairman of the BlueGreen Alliance and on the boards of Campaign for America’s Future and the Economic Policy Institute. Monday, March 18, 2019 | This will come as no surprise to most sentient human beings but we have an education crisis in this country that begins with the Cheeto Benito in the White House and trickles down all the way to households in which a child has never had a storybook read to them. / Michael Winship is the Schumann Senior Writing Fellow for Common Dreams. Previously, he was the Emmy Award-winning senior writer for Moyers & Company and BillMoyers.com, a past senior writing fellow at the policy and advocacy group Demos, and former president of the Writers Guild of America East. Read more about The Whole Economic System is Rigged for the Rich. February 12, 2019 | What if the final blow for French President Emmanuel Macron came not from the yellow vests but from US Senator Elizabeth Warren of Massachusetts? 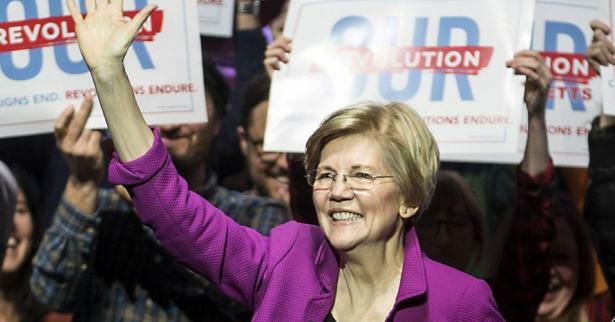 Warren, who announced her candidacy for president on Saturday, has proposed what will doubtless be one of the key points of her campaign — the creation of a genuine federal progressive wealth tax. Thomas Piketty is a French economist and the author of the best-selling book, Capital in the 21st Century, which emphasises the themes of his work on wealth concentrations and distribution over the past 250 years. Read more about Neoliberalism: Free Market Fundamentalism or Corporate Power? Skeptical reporting has still been too favorable. 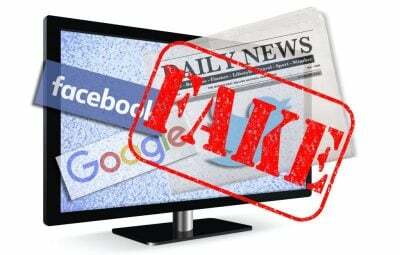 Jan. 1, 2019 | The 2017 tax cut has received pretty bad press, and rightly so. Its proponents made big promises about soaring investment and wages, and also assured everyone that it would pay for itself; none of that has happened. Yet coverage actually hasn’t been negative enough. The story you mostly read runs something like this: The tax cut has caused corporations to bring some money home, but they’ve used it for stock buybacks rather than to raise wages, and the boost to growth has been modest. That doesn’t sound great, but it’s still better than the reality: No money has, in fact, been brought home, and the tax cut has probably reduced national income. Indeed, at least 90 percent of Americans will end up poorer thanks to that cut. 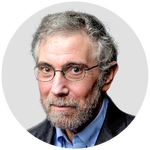 / Paul Krugman, Opinion Columnist for the New York (NY) Times, is distinguished professor in the Graduate Center Economics Ph.D. program and distinguished scholar at the Luxembourg Income Study Center at the City University of New York. In addition, he is professor emeritus of Princeton University’s Woodrow Wilson School.